Should the optician/owner pursue their non-compete? ROXANNE WAS AT HER desk on a Sunday afternoon reviewing bills and rubbing at stress hives on her neck. The optician-owner of a gorgeous boutique near Sioux Falls, Roxanne was at her wits’ end with her sub-leaser, Dr. King. The women had a meeting scheduled to try to resolve their differences. Real Deal scenarios are inspired by true stories but are changed to sharpen the dilemmas involved and should not be confused with real people or places. Responses are peer-sourced opinions and are not a substitute for professional legal advice. Please contact your attorney if you have any questions about an employee or customer situation in your own business. The pair met the previous year at a CE event and hit it off. Dr. King, a stay-at-home parent of several years, was inspired to return to work part time, and Roxanne was inspired to offer eye exams to her loyal client base. They created a two-year contract including a non-compete clause limiting Dr. King from practicing within 3 miles of her office within a year of contract termination, on penalty of several thousand dollars. Once the commitment was made, Roxanne retrofitted storage space into an exam lane and purchased second-hand equipment. Roxanne, waiting impatiently, now ran through the details in her mind to prepare for a contentious discussion. The terms of their agreement were 8-10 comprehensive exams in 4 hours for a flat rent. Patients scheduled with Dr. King directly so she could book around her family commitments. She billed and collected all exam fees, while Roxanne’s employees pretested, collected co-pays, and processed contact lens orders. For a few months everything went well. Then the financial disagreements began: Dr. King started scheduling just 2-3 patients a day and decided it would be fair to only pay rent every second or third week. Payments on the equipment leases were now greater than the rent. Roxanne was also seeing lots of shipping charges for contact lens trial orders, which Dr. King felt were the responsibility of the business as they profited from supply sales. “Are you leaving to go work somewhere else?” asked Roxanne. “No, my wife and I don’t rely on my income,” she said. Roxanne sighed. “Well, it sounds like your mind is made up. It stinks we weren’t able to resolve things, but … I get it.” As soon as Dr. King left, Roxanne got to work posting the job vacancy online. A few weeks after Dr. King’s last day, Roxanne’s lab tech stopped her in the hallway. “I just heard through the grapevine, Dr. King is seeing patients over at Family Vision Center,” he whispered. Exasperated, Roxanne thanked him and went to call her lawyer about enforcing the non-compete clause. Family Vision Center was less than 2 miles away! In what way could Roxanne and Dr. King have changed their agreement to mutually improve the situation? If Dr. King bills for a contact lens fitting and the boutique bills for the supply, who pays the shipping and handling of trial lenses? Is a non-compete clause justified for a sublease doctor? If the lawyer deems the contract enforceable, would you pursue? This scenario poses a significant problem for the optician/owner. I’m not sure how I’d resolve this situation, but it could’ve been avoided if a reputable business consultant had designed the contract. A professional consultant would have covered all the disputed variables. I think it’s interesting that a recent INVISION survey showed a mere one in four ECPs use consultants, and this Real Deal demonstrates the need to do just that. We’re all pretty smart about eyes, but not many of us can claim to be experts in business. First, I didn’t see a copy of the non-compete document. Some of these documents are unenforceable depending on the laws in the state where this occurred. Second, all costs should be negotiated at the beginning of the employment. Third, even if a lawyer deems the contract enforceable, it can still be nullified by a myriad of other factors. Having said this, if all the contingencies are met in the agreement and it is enforceable, I would go after it immediately. Another part is who owns the files in the office. That should be negotiated as well. Bad terms of agreement upfront. Starts bad, ends bad. 1. More concrete terms and understanding. 2. Cost of trials? Ever hear of fitting sets? 3. Non-compete should hold up if written correctly. Not a bunch of 2-year-olds at play. Grow up and live up to your commitments. “I don’t feel like I am respected.” Blah blah blah. First of all, they should have spoken more about what was expected from the lease. Possibly going through a broker to have a legal agreement prepared with terms stating that the lease was to be paid every week and that X amount of patients were expected per week. Also, they should have agreed upon the costs of the lenses, and who was paying for shipping charges in the agreement. Ultimately, I think that the doctor just did not have the right work ethic for this sort of collaboration. I think that the doctor’s fees should cover the trial shipping costs. I believe the non-compete is justified. However, since this doctor did not spend very much time working at the location, I am not sure that she would be much competition if she were to set up office in a nearby location. Most likely with her work ethic she would not be much of a business owner in the future. Ohh, the drama! It’s always easier to blame the other person. Both Roxanne and Dr. King gave up too soon; communication is key. It was unprofessional for Dr. King to quit. It’s not expected but the doctor should feel heavily responsible — in this case it looks like it was all business. The shipping and other stuff could have been worked out if both were willing to keep to their agreement; at the end of the day they still made a profit. As far as pursuing the non-compete clause, it sounds exhausting, expensive and time-consuming, but if this is going to save my business, I would go ahead with it. The contract should have spelled out the particulars of fees, bills and supplies. Leaving things open-ended always creates problems. The non-compete is justified and was agreed to in writing, therefore it is binding. If the tables were turned, the doctor would likely pursue reimbursement for damages from the optician. No lawyer; lesson learned, find another doctor. Unless Roxanne and the doctor agreed to bringing another doctor to work more hours, I don’t see how. Two or three exams a day doesn’t justify the expense of equipment, or cutting the space to put in an exam room. The optical should pay for shipping for trials, but also keep in mind that for trials at least a commitment for the sale of the contacts should be engaged, or an order for glasses should be placed — and then seen as a courtesy from the optical, not from the doctor. Whatever is the right and legal thing to do. If the income was not the issue based on Dr. King’s answer, why work in a place that close? People should not be allowed to conduct a market study while working with you and then become your competition! Keep in mind that patients are the “property” of the doctor, who did the billing. Natalie Taylor is an experienced optometry practice manager for Advanced Care Vision Network and a consultant with Taylor Vision. Learn more at tayloreye.com. An Order is Canceled After the Insurance Company Steals the Work. How Must the Office React? The patient wants his glasses and exam refunded. IT WAS A BRIGHT SATURDAY morning in Baltimore and Dr. Garcia’s optician Elena was engrossed in auditing last month’s lab bills. Ten months ago she had been recruited from a bank teller position by Dr. Garcia. His previous optician had quit unexpectedly, and after a month of trying to hire someone with experience, the optometrist trained Elena himself. Elena cradled the frame. “Let me read the lenses, I’ll be right back!” Victor sat down at the dispensing table and Dr. Garcia followed the optician into the lab. Elena gave Dr. Garcia a look of shock. “What should we do?” she asked. Dr. Garcia squinted through a few thoughts before grabbing the frame from the lensometer. “Follow me,” he instructed, heading back to his patient. Victor frowned. “Fine, I’ll get a refund the next time I’m in D.C. I just want glasses I can use,” he said. Elena helped him find a flattering acetate frame, took his measurements and promised a quick turnaround. Dr. Garcia took the job directly to the local lab before work on Monday, and on Wednesday afternoon the patient, delighted, picked them up. The following Wednesday evening, Victor was back again. Dr. Garcia was with patients, but he found Elena in the lab. “Fine, here are the glasses,” he said, handing her a beat-up gift bag. “I expect that recheck visit to be refunded too. Completely ridiculous,” he muttered, and stormed out. Dr. Garcia is clearly unfamiliar with compensated lens designs. Is there anything anyone could have done better in this situation? Elena now has a returned frame that has been worn a week. Should it go back on the board for resale? Victor is insisting his recheck fee of $50 be refunded. How should Dr. Garcia proceed? I find these situations very tricky. You don’t want to call out the doctor or make any accusations and potentially ruin a business relationship. Assigning blame doesn’t necessarily instill confidence in a patient or client either. I would have printed out the compensated lens Rx and discussed that with the doctor and patient. The numbers game can be very deceiving. I would have encouraged the doctor to contact us to discuss her findings before making statements that may not be true. I would afford her the very same professional courtesy. There shouldn’t be a fee for a recheck if she did the original exam. The frame gets donated. Dr. Garcia should have checked the glasses on the patient’s face, made proper adjustments, tried to bend the axis maybe 2 or 3 degrees, and probably could have made the Rx work. He never should have charged $50 for a recheck. That should have been considered a bit of professional service gratitude. 1. Dr. Garcia should have had Elena contact the fabricating location and learn more about the lenses. Elena could recommend to the dispensing location the doctor’s suggestions to address the patient’s issues before encouraging the patient to order a new pair. We would never force a new pair on a patient unless it was their idea, and we would emphasize that we do not return orders. 2. Elena will need to assess the wear on the frame. If it is in great condition. then clean it, add new demo lenses, and put it back on the board. Otherwise, return it under warranty. 3. I would advise the patient that because there was not an issue with the prescription, they are responsible for the re-check fee. I let the patient know for future reference that had our office made the glasses or there was an error in the prescription, then there would be no charge. The dispensing office’s errors do not constitute free chair time for a patient that is not loyal to the practice. Knowing all lens possibilities in this industry — whether doctor or optician — is vital so that there are more reasonable conclusions for the guest. Ask more questions about what the client purchased, and what type of specific vision issues could be ruled out by adjustments. The frame could be marked down, with the next customer being informed that they were a frame worn and returned within a week. But get it cleaned and polished by the lab before putting it back on the shelf. If your business does not do that then request an RA if possible. The recheck fee should definitely be returned. The client should not have to pay for something that did not benefit him. A lost customer is not worth the $50 in the end. Before Dr. Garcia and his optician suggested returning the drill mount glasses, there should have been more communication with the patient regarding the actual areas where his vision was not comfortable. Adjustments could have been made by Dr. Garcia’s office staff to correct the problems. The patient was charged a recheck fee, which is questionable considering the original Rx was done by Dr. Garcia. The end result would have been a better relationship between Dr. Garcia’s office and the patient. Adjustment should be an additional consideration when a patient says that he cannot see. Dr. Garcia would benefit from a continuing education class on digital lenses and position of wear. He needs to arrange for Elena to receive training from a lab rep. Elena could ask Dr. Garcia if the extra pair of glasses could be given to the angry patient as a back-up pair and a gesture of apology. I would refund his re-check fee as well, and hope that he returns for his routine exams. Both the doctor and Elena need to get up to date on lens technology. They need to request help from a lens rep and take some CE courses on the subject. If the frame is not damaged it could be sanitized and go back on the board. His recheck fee should be refunded since it was unnecessary. Cut your losses. Refund all fees subsequent to the initial exam. No one said the “glasses were made wrong,” just that they did not appear to be made to prescription. Confirming the patient’s understanding regarding the follow-up exam and the refund/remake policy regarding the second pair or glasses might have helped. The patient will not remain happy. Be on alert for his return. Let me start by saying this is a rookie mistake by Dr. Garcia. Doctors should never talk money with patients and more so, never recommend patients to return/refund glasses and get them at their office. Elena didn’t do anything wrong; she is not an optician, she is learning the business. We all hate when patients get glasses elsewhere and want us to figure out what is wrong, but the best way to handle this is by sending them back and having the office who made them figure out what is wrong. There was no reason for Dr. Garcia to do an Rx recheck. Even if the glasses were made wrong, they should have been remade correctly before any recheck. Nobody likes the idea of wearing a used frame, but in small optical shops and in cases like these, they are not going to take a loss on a frame. Compensated Rxs are not something new; by now everyone should be familiarized with digital lenses. This looks like a lose-lose situation: lose money and a patient. Dr. Garcia clearly needs some CE classes. At the very least get your lab reps in to talk about the latest digital designs and compensated Rx. He should also have Elena go to classes; joining a group such as PECCA would help immensely. If the frame is in usable condition, you can discount it and be upfront about prior wear and definitely refund his money. 1 The only thing I can think of is perhaps calling the place where the patient originally bought the glasses and discuss the issues. 2. I’m uncomfortable with that, but offices will do that. 3. It depends on whether or not the Rx was changed radically in the first place. I wouldn’t have charged him in the first place if the prescription had not changed significantly. I would only have done the recheck if the Rx had changed. We have a case here of the blind leading the blind. This professional doesn’t know about these lenses and he’s teaching a novice about things he doesn’t even know? OMG! I learned years ago that you can’t make yourself look better by trying to make someone else look bad. The first move should have been for Elena to call the office where the glasses were made and ask for all the pertinent information, letting them know that their mutual patient was unhappy. Simply relying on a neutralization is not enough. Checking the adjustment of the frame should have been the second move. Finally, there is no excuse for not knowing about current lens technology. Education is available from multiple sources and in multiple modalities. 1. For one thing Dr. Garcia should have never told Victor to return the glasses for a refund and purchase them at his office. I wouldn’t be happy with either office. If the office where he purchased the glasses had to spend 15 minutes “bending them” I certainly wouldn’t be feeling too comfortable. Especially drill mounts. 2. If the frame was still in good condition, I’d put it back on the board at a reduced price. 3. Dr. Garcia should give back the recheck fee. Clearly (no pun intended) he was in the wrong. SECOND LOOK OPTICS, a well-established optometry practice near Iowa City, IA, offers a lot to patients. The optical displays over a thousand frames, the doctors accept all regional insurance plans, and their schedule includes evening and weekend appointments. Late one Saturday, optical manager Zack was paired with new patient, Bonnie, who was on a mission to find the perfect frame. Zack knew there was an older Kala frame somewhere in a yellowish crystal, and after searching a few drawers in the dispensary he found it. Bonnie put them on and faced Zack. Bonnie looked in the mirror and grimaced. “Can I pull a few frames together for you to try?” he asked. “Yes! I almost bought something like that online … I’m so glad I didn’t,” she said. Zack quickly assembled a set of four disparate frames and after half an hour of deliberation Bonnie selected one quite different from her original intention. She and Zack then carefully went through the math to determine if her vision benefit should be applied first to her contact lenses or the eyewear. Bonnie hadn’t had new glasses in six years and was struggling to accept the frame and lens prices, even with the discounts. Eventually everything was settled; Zack entered the orders and collected her co-pays. The following Monday afternoon Bonnie called to speak with Zack about canceling her order. “I sent you an email; did you read it?” she began. Zack found the message, time-stamped 20 minutes earlier. It was a forwarded e-mail from her vision benefit plan, encouraging her to purchase her glasses through their internet portal. It was sent late Saturday evening. Zack was unsure of what to say, but Bonnie seemed to genuinely expect him to explain himself. “Well, of course you are not obligated to fill your eyeglasses prescription from the same office as your exam services,” he finally replied. “However, I have already submitted your order to the lab and the work has begun.” Zack held back a key detail: the practice had a strict no-returns policy. “Okay, I’ll call and then ask our bookkeeper to mail you a refund in the form of a check,” said Zack. “Your contact lens brand is chosen by the doctor, you’d need to come in for a follow-up exam if you want to change brands,” explained Zack. Zack assured Bonnie the bookkeeper would be in touch and hurried her off the phone to find the bookkeeper. Second Look Optics has a no-refunds policy. Should the policy always be overridden by vision plans or is there a middle ground? What can Bonnie’s doctor do regarding her use of mystery contact lenses? Now that Zack is aware these emails are being sent to patients, should his department treat patients with that insurance plan any differently? No refund policy should stand. Customer dissatisfaction can always be solved with a redo, exchange, store credit, etc. The doctor should educate the patient that trying inferior contacts is not appropriate for her wear schedule and detrimental/risky to her ocular health. The recommended contacts are the best and can be made more affordable by buying in volume and with rebates. Zack needs to affirm that his services/care rendered are valuable, and personal attention is unmatched by anything bought online by any service or insurance company. This goes for any customer, regardless of insurance. Definitely a no-win situation for Second Look Optics. If you don’t give her a refund you look like a jerk, even with the no-refunds policy, but if you give the refund you are losing money because the lab already started the job and potentially will not no-charge the lenses. (Depends on the insurance company and lab, of course.) Since this is a new patient do you risk the blowback from an angry patient and the potential social media lashing? Do you take the time to call the insurance company and say what the heck? Do you explain to the patient that the insurance company is using inferior products to what you are selling hence the price difference? Make very detailed notes that the patient is ordering non-prescribed contact lenses from an online vendor. If the emails are standard policy, there is a need to consider whether to stay with that insurance company, but always try to educate the patient that buying elsewhere means inferior quality for their eyes. Move to the medical model of eyecare, use the terminology of optometric physican, refer to your practice as an eye clinic, write contact lenses as a prescription and stop trying to sell boxes of contacts, explain up front to patients “your glasses order is being placed as we speak, we will cover any and all issues with our prescription for you for 45 days. We know you will be happy with our eye exam and our optical expertise.” Face it fellow OD’s, we are being attacked from all sides. The old way is gone. I have seen this issue before in slightly different ways and the end result should be in my opinion the same; the office should not take a loss because of the patient finding a “better deal.” An easy way to avoid most of these issues is to always have the patients sign the office policy on returns/refunds. Policies should be included in new patient forms and should be scanned or saved. I have seen policies from no refunds to a 50 percent refund to restocking fees. In an office where the doctors go out of their way to care for patients and open late and on weekends, there is no room for patients that are trying to find “the most affordable pair;” in that case go to chain stores or the other cheap places — some take insurances. Zack should have been firmer with their “no refund” policy. The contacts should have been verified with the doctor before any changes. Not all patients are like Bonnie, so I would keep an eye out with that insurance. The vision plan scheme is a zero-sum game for private practices. If you care about the quality of care you provide for your patients, and also want to turn a profit, then you cannot participate in any vision plan. Every day there is another layer of absurdity added to the process by the vision plan companies. This fictional article was only the tip of the iceberg in terms of the day-to-day confusion and problems that arise. Best advice that I have is to discontinue all vision plans or do lots of meditation and double the dose of your blood pressure meds. Our policy is displayed throughout our office and printed on all receipts. All sales are final and non-refundable. We have had this happen to us and informed that patient that since the lenses were already in process that we could not cancel the order without charging their credit card for the lenses, since we would have to pay for them. The few times that patients have wanted to change the parameters of the contact lenses to match their wallet we have insisted that they come in for a refit. We explain that their eyes will react differently to each lens material and curve/diameter design and must verify that they will not react adversely to the lens, causing permanent damage. If the patient is not willing to come for the refit, then we will not approve the change and only confirm for what was prescribed. Since this has happened to our office, we do not pull authorization till the day of service and submit immediately once the patient has left. I would write a letter to the insurance company explaining my feelings regarding them stealing my customers and ask to be removed from their network. I know that this reduces exams, but if enough ECPs do this, they may get the message. Unfortunately, it may just be around the corner that the insurance companies offer online refractions and cut out the ECP altogether. Otherwise, a clearly posted significant restocking fee retained on all canceled orders might help. As far as the patient getting different contacts than prescribed by the doctor, I’d at least check the state law and bring it to the attention of the state Attorney General’s office, as well as the FTC. Maybe they can match the price her insurance is giving for a new pair of glasses. Match what she would be getting from them and discuss with Bonnie the differences. Make a note in her chart and do not give her a prescription for the new contacts. Let her know if she decides to not see the doctor; it is on her, not the doctor for the contacts. Maybe call the insurance company in the future when dealing with someone who carries that plan. I think it might be time to think about a class action lawsuit against the insurance companies that have this practice. Multilevel practices are destroying independent optical practices. Essilor and China are using the lack of control conditions to hurt rather than help our quality of care. Millennials think that computers can do everything, but they lack the human touch and so will the new generation of future adults. Time, patience, knowledge and personal communication should still matter in any medical situation. 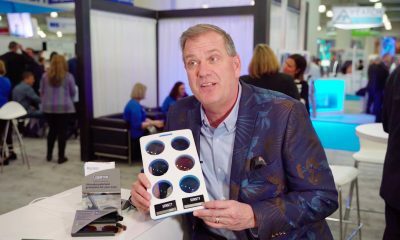 Eyecare and eyewear must be important and not be a computer program that is handled through greedy insurance companies that worry about the bottom line rather the human experience. ANDREW RICE, a Maryland native and new grad, had recently purchased a retiring optometrist’s practice. He and his wife fell in love with rural northern Minnesota at the second meeting with then-owner Roland Dibbs. While this was a big decision, there was something about Roland that put Andrew at ease. During his first month of ownership Andrew closed the office and performed major renovations. In addition to updating the floors and painting the walls, he raised the ceilings and removed walls to make the space more modern. The practice finally re-opened and Andrew was able to meet Roland’s patients, who all seemed to also be Roland’s friends and neighbors. Andrew was initially enthused, as he imagined that soon they would also be his friends and neighbors. Then he realized how this may impact his business. It took Andrew a minute to understand what one fact had to do with the other. “Roland did retire last month, and I’ve purchased the office,” Andrew explained. That evening Andrew’s wife Ginny took him to dinner to celebrate his first day. The day’s strange interactions were a hot topic. “Fair point. The receptionist told me Roland’s barber is on the schedule for tomorrow,” he chuckled, rubbing his shaved head. “Thanks for the help, Roland,” Andrew said sarcastically. Should Roland have divulged the extent of his practice’s bartering? If bartering is the accepted culture, should Andrew adapt or run the business his way? How can Andrew explain his new policy? 1. Yes, the trade agreements should have been divulged. 2. Bartering is not in Andrew’s best interest. With a new practice loan and renovation costs, he is cash-poor. The barter expected is not just for his service but for goods. Andrew will have lab bills and frame costs out-of-pocket to accept barter trades he doesn’t even need or want. This will be a cash flow disaster. It is better to have the patients leave which creates no cash flow rather than to barter and have a negative cash flow. 3. Andrew should ask Roland to provide a list of all individuals with whom he had a barter agreement. Further, he should request that Roland send each individual a letter explaining that Andrew is the new practice owner and that he will not honor old barter agreements. This letter should be approved by Andrew. If the staff know a barter agreement existed, they should politely quote Andrew’s usual examination fees when an appointment is scheduled. Then there is no surprise after services are rendered. 1. Roland probably wasn’t being intentionally misleading. Selling a practice is hectic and stressful. Andrew and Ginny should give him some slack for the oversight, if they truly are embracing the small-town experience. 2. We do trade-of-service, but we don’t accept every offer or inquiry. Andrew should adapt as seems viable. Maybe he can offer to trade services with the snowplow guy’s family for 1-2 kids, and then insist on payment for the remainder. Since only one son has been seen so far, they have time and opportunity to barter out the rest of the family. Also, it might be good for Ginny to participate in future barter conversations with patients. Andrew can provide the warmth, and Ginny can provide the tactful backbone. Patients usually appreciate knowing the honest struggles of optometrists as fellow business owners, because it opens the door to genuine relationship. 3. Andrew’s front staff should ask each patient about their intended method of payment as part of the scheduling process, which will allow the chance for renegotiations prior to appointment. How about trying a different approach? Have an open house party with trunk show which would allow the community to meet the new doctor. There is a huge difference between the philosophy of the older generation OD’s and the fairly recent graduates. Just wait you might only be scratching the surface of treatment philosophy and contact lens evaluation etc. Barter can get out of control quickly, and no matter how you end, you will never be able to please everybody. After all you are a different doctor so change is automatic. Perhaps until established, postpone doing any barters until your feet are on the ground. At least then you are maintaining the same status for all your patients not hand-picking which barter you accept. If there are other practices in the community, obviously creating an immediate distinction between the retired doctor and the new doctor, and hopefully creating excitement in new philosophy, frame styles and product would probably help. When I bought my practice in 2015, I was faced with a similar situation — every other patient expected the same outrageous discount they had been receiving for the last twenty years. In this case, yes, the seller should have revealed the extent and nature of the barter system. I think if Andrew keeps going with this barter system he will lose money, but will he lose patients? If he loses patients that are not paying him, he’s not losing anything at all. If he is the only practice in the area, patients will have to get used to his new policies. He may want to structure the fees attractively for the non-insured (without doing anything non-kosher). Each situation is an individual case and he may need to address each one as it comes up rather than making a blanket decision. He also should make prominent signage in the front stating the new policies in a friendly way. This may take years to resolve… trust me, I know. Roland probably should have been up front about the bartering, wouldn’t his books have shown this activity? Possibly Andrew could accept the barter for the first year and outline what would occur after, requesting invoice to invoice follow up to make sure he was getting fair deal? Also, would have to change the terms so that the former owner was not reaping the benefits. Right away, a letter to any remaining patients not seen in the office explaining the transfer of ownership and what new policies would be would be appropriate. Andrew may need to set up meetings with some of the patients before seeing them to work out any barters, discounts or new policies going forward. He should put a sign in the reception area welcoming new patients and introducing his pricing policies. He could put a sentence or two that thanks the previous owner for his long-time relationship with his patients and that he looks forward to making new relationships with these same patients. He should be open to the idea of bartering, but only if it is a fair trade for both parties. If his staff has access to patient’s previous exam charges (or lack of) ahead of time, a phone call to the patient explaining that the patient should be prepared to pay would be prudent. Absolutely stop the bartering. Andrew needs to prove to the existing patients what a great doctor he is and the rest will fall into place. He should have his office manager tell them his accountant won’t allow him to barter. He should support his community outside of work by going to high school sporting events and showing his patients he cares about their families. Support as many fundraisers as he can afford. That will mean a lot and his patients will love him for his generosity. He and his wife have bills to pay! This is now his business, not Dr. Roland’s, and the community will adapt to his rules. 2. I suppose he could adapt to a certain point but he’s going to have to run things the way he wants or go out of business. 3. That’s something that has to be explained before the exam even begins. Yes, Roland should have highlighted the extent of his side deals. I would have thought He would have followed Roland for a few weeks in the practice and much of this would have come to light. Andrew should think about the bartering aspect and get some professional advice as there could be tax consequences, as well as Medicare issues, with trading services. He needs to take Roland to lunch and find out how pervasive the bartering thing is. If it is small, I would use what worked for me and explain to those whose barter did not meet my needs we would be able to offer them a cash discount instead on products. Should it be a large part of the practice, he will need to explain to his patients that he has researched bartering and found that these transactions must be reported as taxable income. The simple truth is that if done legally it is more trouble than it is worth. Roland SHOULD have been up front about his bartering services. However, if you purchase an existing practice and the claimed income on the financial statement were the basis of your decision, then you would have also planned your spending around only those funds. So, the barter services should then become irrelevant to your expected income. Going forward with a new awareness, Andrew could offer those people a payment plan, understanding there will be some period of transition, and those patients should have NEVER gotten so far as the exam room without having payment arrangements in place. Therefore, to avoid this conversation in the future, the entire front office staff should be trained on the policy for handling past barter patients and that dialogue should be consistently carried from the front desk, to the exam room and on to the dispensary. 1. Yes, ethically Roland should have let Andrew know. Shame on Andrew’s lawyers/accountants for missing that. 2. He should have a discussion with other professionals in the area and see if this is the custom or isolated to Roland. Change the name of the business so patients know they are dealing with a new entity. Perhaps a letter from Roland to the patients explaining new ownership and how great Andrew is.